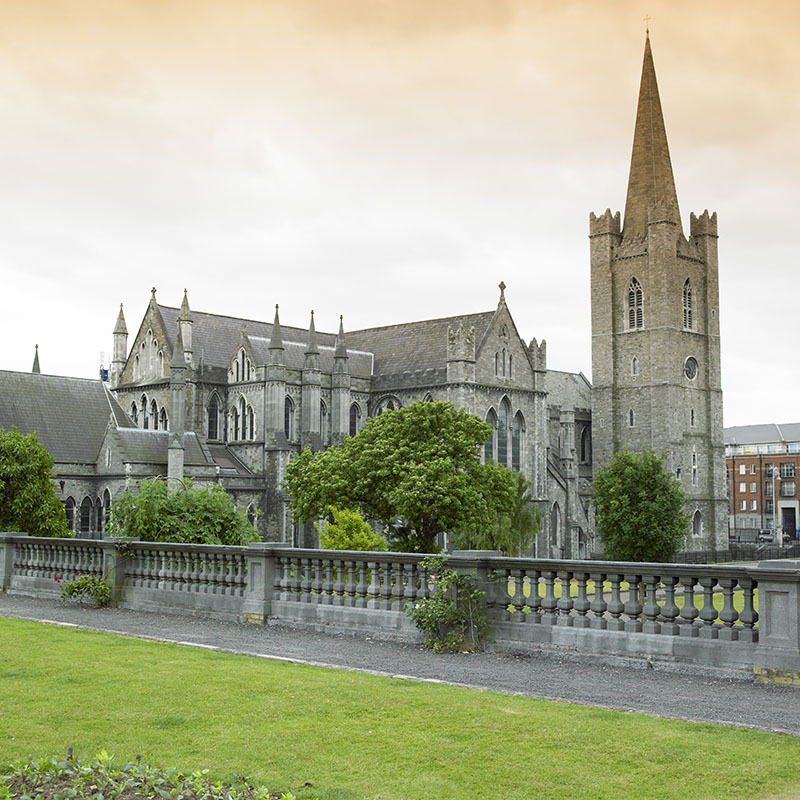 Join WKOW TV Madison’s Meteorologist, Bob Lindmeier on this magical tour to Ireland. You’ll experience the lush, green Irish landscapes, savor authentic Irish food, and see stunning views of the ocean from Ireland’s famous cliffs. 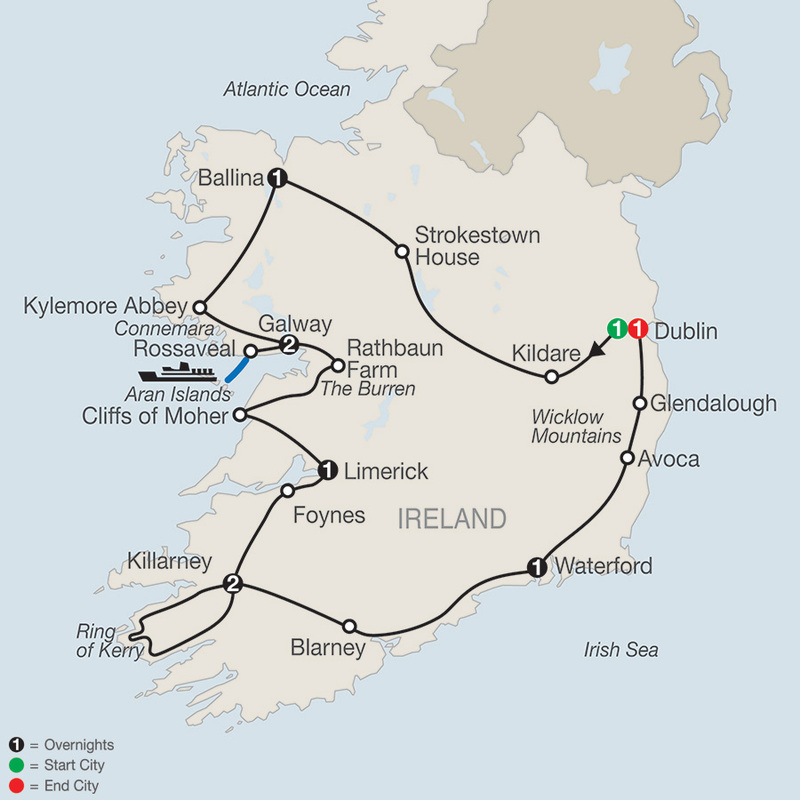 Our tour includes overnights in Dublin, Claremorris, Galway, Limerick, Killarney, and Waterford. Your travels take you alone sparkling seascapes, mountains dotted with brightly colored farmhouses, and a breathtaking panorama of the Lakes of Killarney as you drive the Ring of Kerry. 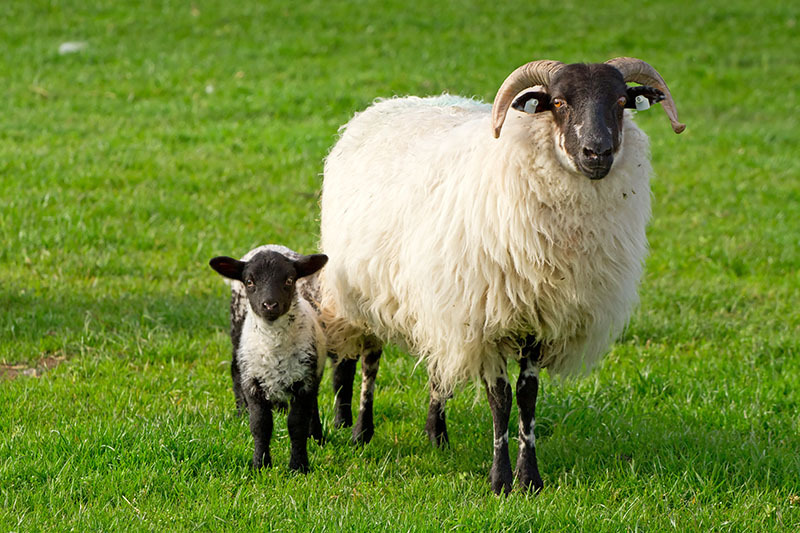 You’ll also get a taste of Irish life when you visit a sheep farm, where you’ll learn to make scones you will enjoy with coffee. So many special experiences await on this Ireland circle tour. 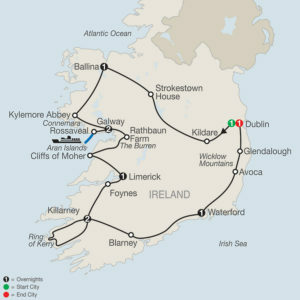 So grab your camera and get ready for an amazing tour through the Emerald Isle! Your adventure begins aboard a motorcoach transfer from select cities to Chicago O’Hare airport, where you will board your overnight flight to Dublin. Céad míle fáilte — a hundred-thousand welcomes! Upon arrival, you’ll be transferred to your hotel. 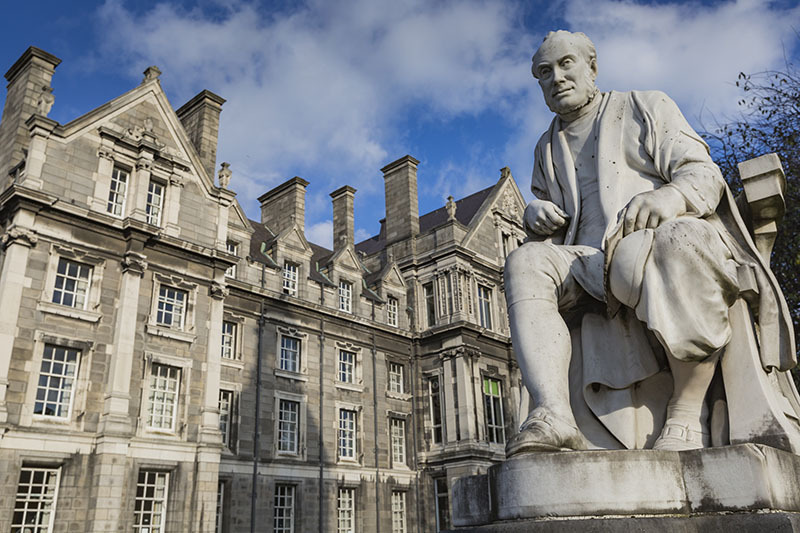 Check into your hotel and at 3 p.m., meet your Tour Director and traveling companions for an afternoon orientation drive through statue-lined O’Connell Street, elegant Georgian squares, and past St. Patrick’s Cathedral and Oscar Wilde’s Trinity College. Tonight, enjoy a welcome dinner with wine at your hotel. Horse-racing country awaits this morning. Drive across the Curragh to the IRISH NATIONAL STUD at Kildare, whose thoroughbreds command respect on racecourses around the world. Then, north to Longford for a visit to STROKESTOWN HOUSE for a guided tour of the restored 1740s mansion, a stroll through its fine gardens, and insight into the circumstances of the Great Irish Famine of the 1840s at the Famine Museum. Overnight is in Ballina, famous for its hospitality and internationally renowned for its exceptional salmon fishing in the Moy River. Via Westport, head for the unspoiled region of Connemara, an area known for its hardy breed of ponies. 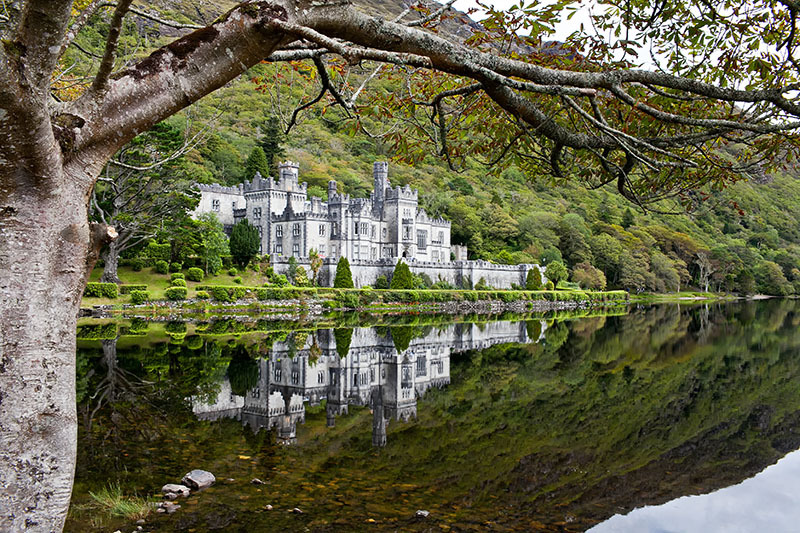 Visit KYLEMORE ABBEY, a massive yet graceful castle acquired by Benedictine nuns as a precious heirloom for Ireland. At Moycullen, visit the Joyce family at their MARBLE WORKSHOP before arriving in the port city of Galway. Tonight’s recommendation: an optional evening at Dunguaire Castle, where the intimate banquet has an enlightening literary theme. At Rossaveal, board a comfortable, modern FERRY for the 45-minute crossing to Kilronan on Inishmore, the largest of the Aran Islands and where Gaelic is the first language of the islanders. Your fascinating day continues with a presentation about life on Inishmore by an island historian. After a light LUNCH at Tí Joe Watty’s pub, board a minibus to enjoy your driver/Local Guide’s commentary on a tour of the island, ending with a visit to clifftop DUN AENGUS, one of the most spectacular and dramatic prehistoric stone forts in Europe. Back in Kilronan, board your ferry back to the mainland. There are plenty of dining options in Galway this evening. A real Irish farm experience at RATHBAUN FARM this morning. Try your hand at scone making, and learn from the farmer about sheep shearing and dog whistling. Afterwards, enjoy COFFEE and your SCONES, fresh from the oven. Take the scenic route across the desolate limestone plateau known as The Burren, and stop for photos of prehistoric Poulnabrone Dolmen. 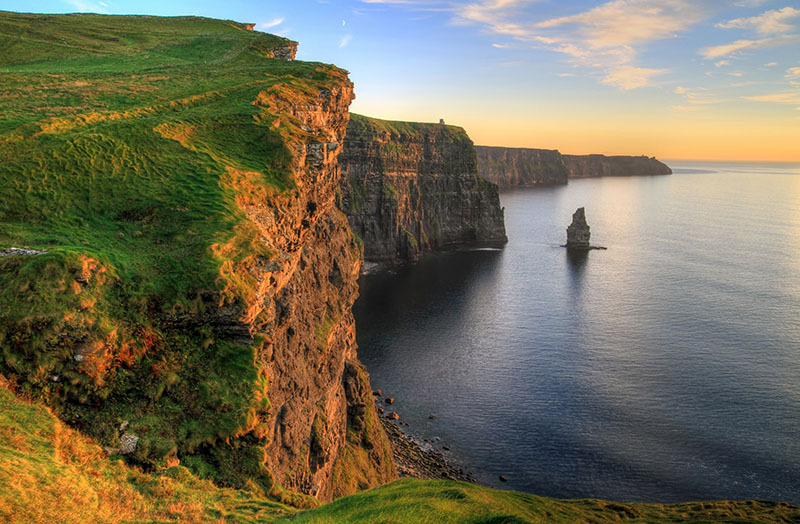 At the CLIFFS OF MOHER, rising 668 feet above the Atlantic Ocean, savor the breathtaking panorama of the Clare coast. This evening, why not take part in a unique optional dinner excursion to Bunratty Folk Park? On this morning’s Limerick city tour, view the Treaty Stone and St. Mary’s Cathedral, and visit KING JOHN’S CASTLE in the medieval heritage precinct. Make your way to Foynes for a guided tour of the FLYING BOAT MUSEUM. Board and explore the only Boeing B314 “Clipper” full-size replica in the world, and in the flight simulator, re-enact the thrilling experience of crossing the Atlantic in a 1930s long-range flying boat. Then, travel to the popular resort of Killarney, your destination for the next two nights. Later, maybe an entertaining optional evening in Tralee with dinner, followed by tickets for Siamsa Tire National Folk Theatre. Join the famed RING OF KERRY for a 100-mile panoramic drive around the island’s southwestern tip. Plenty to focus your camera on here: sparkling seascapes, mountains dotted with brightly colored farmhouses, winding lanes bordered with subtropical vegetation, and the breathtaking panorama of the Lakes of Killarney from Ladies View. 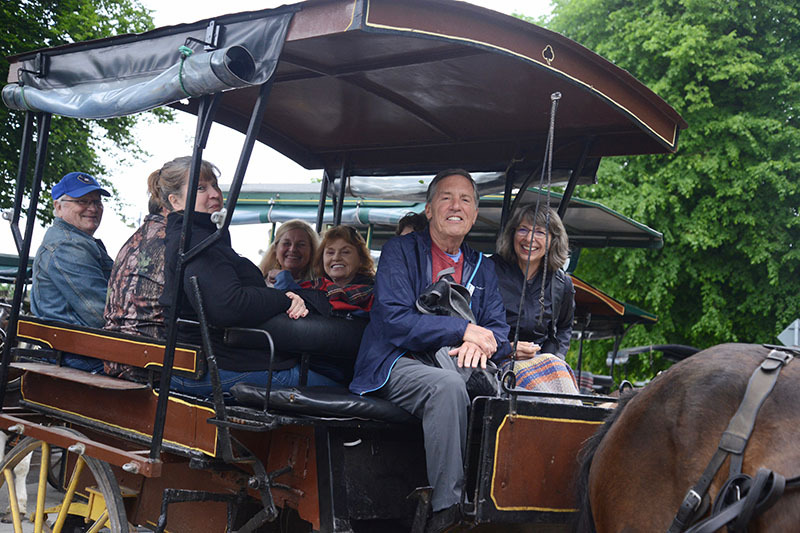 Back in Killarney, a special treat: a fun-filled horse-drawn JAUNTING CAR RIDE through the national park with glorious vistas of the Lakes of Killarney and ancient Ross Castle. Across the Kerry Mountains, drive into County Cork for a visit to Blarney, renowned for its castle and magical Kissing Stone. Time for lunch, to walk up to the castle, and to shop for traditional Irish handicrafts. In the afternoon, proceed via Cork, Youghal, and Dungarvan to Waterford, a stronghold founded by the Danish Vikings in 853. Here, enjoy a visit to the HOUSE OF WATERFORD CRYSTAL. Today’s agenda includes Enniscorthy, site of the final battle of the Great Rebellion of 1798; Ireland’s oldest HANDWEAVING MILL at Avoca; and GLENDALOUGH, the early Christian monastic site founded by St. Kevin in the 6th century. See the engaging audiovisual Ireland of the Monasteries, then let your Local Guide show you the remains of this ecclesiastical settlement. Back in Dublin tonight, join your traveling companions for a fitting farewell to Ireland: an optional dinner outing to the Guinness Storehouse. All too soon, your vacation in Ireland has come to the end. Transfer to the Dublin Airport in plenty of time to check-in for your flight. Upon arrival in Chicago, your motorcoach will transfer you back to your departure city. 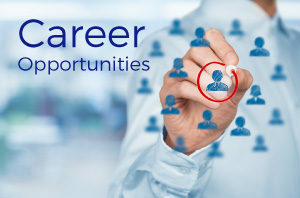 Gratuities for hotel service charges, taxes and luggage handling are included. 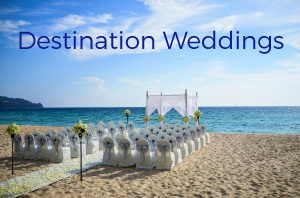 Not Included: Travel Insurance, gratuities for airport porters, tour guides, motorcoach drivers, meals (other than those included in the package), optional excursions that may be offered, trip cancellation insurance, and any items of a personal nature. A valid passport is required. You may know 27 Storm Track Chief Meteorologist Bob Lindmeier from his forecast weekdays on 27 News at 5, 6 and 10. In addition to broadcasting the weather on 27 News, Bob also forecasts for local radio stations and newspapers. Bob has 30 years of experience in forecasting Wisconsin’s weather and has the American Meteorological Society (AMS) Seal of Approval. He also holds a Bachelor of Science degree in meteorology from the University of Wisconsin-Madison. 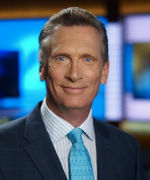 In 2011, 2012 and 2013, Bob’s forecasts were rated MOST ACCURATE in Southern Wisconsin by WeatheRate, an independent weather forecast verification company. In his free time, Bob enjoys playing basketball and golf. He also lends his time and talents to community events, and often can be found at local schools talking with children about, what else, the weather. *Above base pricing is per person based on double occupancy. 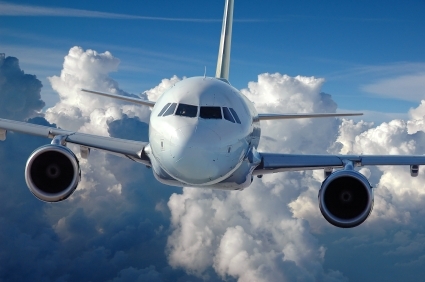 All air taxes and fees of $116.34 per person are included and subject to change.